Solar energy is one of the most promising renewable sources available to us right now. Many areas have implemented solar panels on their homes and businesses. However, if you are considering installing solar panels, there are few different types of solar panels you can choose from. So now the question becomes, what are they and what are the differences. That is what I am here to educate you on. First things first. A solar panel is what is used to absorb the sun’s rays as a source of energy for generating electricity. Solar panels are also called Photovoltaic panels because they absorb the light from the sun which is made up of particles of energy called photons. Solar power has been one of the most promising sources of sustainable energy. It also has many different uses. Thermal solar energy is used to heat water or buildings. Photovoltaic devices, also known as solar cells, directly transform sunlight into electricity. They can be used to power anything from small applications like calculators and watch batteries, to large systems that can power houses. Huge plants have also been built to harness an immense amount of solar energy, spanning acres. As for most renewable resources, cost is often a big drawback for the installation of the devices needed to harness the specific energy. However, when it comes to solar panels, there are many government entities that offer tax cuts and reimbursements for the installation of them. This drastically reduces the upfront cost making it much easier to get into the solar energy game. Solar energy has its roots back more than 100 years. In the early days, solar energy was used solely for the production of steam which could be used to power machinery. It was not until the photovoltaic effect was discovered that people knew that they could convert sunlight into electric energy. The photovoltaic effect was discovered by Edmond Becquerel, which then led to the invention of the first real solar cell by Charles Fritts in 1893. It was created by coating sheets of selenium with a thin layer of gold. The first silicon solar cell was patented in 1941 by Russel Ohl, an American inventor working for Bell Laboratories. His patent led to the production of the first solar panel in 1954 by the same company. For a while, they were mainly used on space satellites as a source of renewable power. For most people, their first use of solar panels was in their calculator in school, around the 1970s. 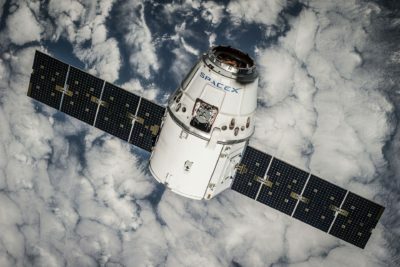 However, today the applications for the solar panel have well exceeded satellites and calculators, though they still are. They can be used to power homes, commercial buildings, even neighborhoods. In fact, the headquarters of Google in California are completely powered by solar energy. Now, to understand the types of solar panels, you first must know the basics behind how they work. Solar energy has a lot more science behind it than say wind power or hydropower. Here, there is no turbine used to generate electricity. Instead, the photons in the sun rays are converted into electric energy. There is a lot of steps here that I do not want to get wrong so I am just going to quote the experts. The most common concern is what happens during cloudy days or at night. Well, one of two things can happen which is up to you. Number one is the solar panels will go into standby mode and you can switch to utility grid power, which means you are getting your power from the power station again. Number two requires the addition of a battery bank onto your solar panels. This bank will store excess power throughout the day and allow you to use it whenever there is insufficient solar energy. This method is also very useful during blackouts because they are not affected by the power grid and exist completely on their own. Basically a back-up generator. As you probably guessed by the headline, there are 3 types of solar panels. Monocrystalline, polycrystalline, and thin film. Each have their own advantages and disadvantages as well as specific efficiency. But which one is better? What is the best solar panel to buy? Before we jump into the different types of solar panels, it is important to know what makes them up. Almost 90% of the world’s photovoltaic panels today are based on some variation of silicon. In 2011, neatly 95% of all shipments by manufacturers of the United States to the residential areas were crystalline silicon solar panels. Now the main difference between the solar panels is the purity of the silicon. Basically, the more perfectly aligned the silicon molecules are, the better the cell will be at converting solar energy. The efficiency of the solar panels goes right along with the purity of the silicon. However the process used to enhance the purity is expensive. Therefore, efficiency shouldn’t be your main concern. It more comes down to the space available. The first in the types of solar panels in the monocrystalline solar cells. These are the original silicon solar cells. The technology behind these panels originated back in the 1950s. The cells are cut from silicon ingots in a cylindrical fashion and each cell looks like a wafer, which gives these cells their characteristic look. Ten of the silicon wafers make up a monocrystalline panel. The advantages of the monocrystalline solar cells are many. First off, they are constructed from high-quality silicon, giving them the highest performance rates in the industry, usually up to 21%. They actually outperform thin film by four to one. They also offer a high power yield per square foot, while requiring little space to make use of. In addition, they can perform in low light conditions far better than polycrystalline. Monocrystalline also have the longest lifespan. Most manufacturers put a 25 year warranty on them. Of course, everything has some disadvantages to them. Because monocrystalline are such high quality, it makes them fairly expensive. Also, circuit breakdown is a commonly reported issue when the panel is obstructed or shaded. When looking at the environmental factor when it comes to manufacturing, monocrystalline production does result in a significant amount of silicon waste. This is due to the fact that the edges are cut off to give them their wafer shape to fit better on the panel. These solar cells also do not function well during instances with very hot temperatures. They perform exceptionally during warm weather, but that drops as the temperature increases. These panels were first introduced to the market in 1981. The major characteristical difference between mono and poly is that polycrystalline cells are rectangular instead of wafers. Raw silicon is poured into a square mold, which is then cooled and cut into perfectly square sections. These panels are also a shimmering blue which you might recognize if you know anyone with solar panels. Polycrystalline are the most popular among homeowners. 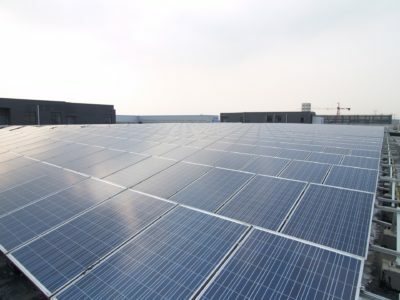 Polycrystalline panels have various advantages. The biggest of which is that the process used to manufacture these is simpler and more cost effective. In addition, there is much less waste when making polycrystalline than mono because there is no cutting of corners (literally). However, though the cost for producing these is lower, so is the efficiency. Typically, polycrystalline panels will reach between 13 and 16%. This is because the purity is less than the monocrystalline because they melt the silicon down before making the panels. They also require more space to be installed and function due to the fact that the panels are larger. These also do not perform well in high heat or low light situations, though they do have a lower temperature tolerance than the monos. Thin film solar panels are interesting. These, unlike mono and polycrystalline, are not made with silicon. These panels use alternative photovoltaic medius that are deposited in a thin layer over a substrate. Thin film solar panels are most often manufactured from cadmium telluride, amorphous silicon, copper indium gallium selenide, or organic photovoltaic cells. In this instance, the advantages do not outweigh the disadvantages. However, there are still some appeal that these thin film panels have over the others. One of these is the fact that they are extremely lightweight and portable. They can be picked up and moved anywhere. The production cost of these panels is significantly lower than both mono and polycrystalline. This makes mass production very simple and ideal. With those facts, it makes sense that many companies make use of these panels in solar fields which, like wind farms, are made up of thousands of solar panels spanning acres upon acres. Oh, and high temperatures and shading have much less of an impact on them. Now, onto the disadvantages. The biggest of which is the fact that they are not very efficient. They usually get between 7 and 13% capacity which is much lower than its competition. They also need a lot of space, mostly because they are less efficient and they make up for it in sheer numbers. This is why commercial and corporation applications make the most sense for these panels. In addition to low efficiency and high space requirements, their lifespan is also low, as they are susceptible to weathering. Unfortunately, this makes the cost of them higher also, in addition to requiring support equipment like cables. So now that you know the different types of solar panels, the question becomes, “which solar panels should I buy?” That is entirely up to you. However, I will help you out by outlining the best things and best applications for each panel. Monocrystalline panels have a high cost, and high environmental footprint but have the highest efficiency. These would be perfect for those of you with money to spend but have limited roof space or partial shading. They produce the most amount of electricity using the smallest amount of roof space. They hold up to weathering quite nicely due to their sturdy structure. So if you value long-term savings over lower initial cost, monocrystalline solar panels are the best choice. The biggest choice is monocrystalline vs polycrystalline, for most homeowners. Overall, polycrystalline is the ultimate middle choice. Polycrystalline solar panels are much cheaper than mono but it is also less efficient. It has less of an environmental footprint but also takes up a bit more space. This is the most popular choice for most homeowners. Lastly, we have the thin film solar cells. These are really not ideal for residential use unless you have a mansion. And if you have enough money for a mansion, you might as well go for the monocrystalline. In either case, thin film panels take up a lot of space because they are so inefficient. Their short lifespan means that the cost will be more expensive, in addition to support equipment. However, they are great environmentally and there are new technology in thin film panel development that could make them much more efficient as well as take up less space. These are the newest form of panels which makes them highly experimental. The choice is yours, depending on your needs. 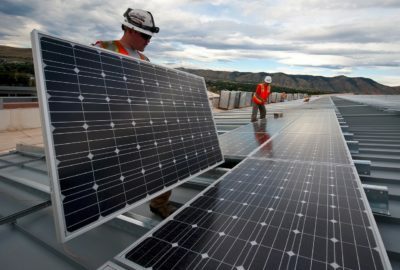 Regardless, solar power is a great and promising source of renewable energy that could drastically reduce the effects of climate change and our greenhouse gas emissions.